Hi-Point Firearms may not be the best weapons manufacturer out there, but their products may still be worth considering. Over the years, Hi-Point has developed a bad reputation for making ugly guns that are too heavy, but they’ve come a long way since their original lineup. While aesthetics are important, performance is what ultimately what matters most, and these guns can shoot surprisingly well. I’ve always kept an eye on this company because their products are affordable and reliable. Furthermore, as a lover of CCWs, I like the compact build and high-powered calibers offered by Hi-Point. I recently reviewed their impressive C9 and have already recommended it to several of my buddies. However, although the 9mm is a bit more powerful, I prefer the handling and affordability of .380 ACPs. That being said, it’s about time we take a closer look at Hi-Point’s firearms chambered in this legendary cartridge. While Hi-Point’s CCWs have been criticized for their non-traditional appearances and overweight builds, the American gun maker has revamped their CF-380 to fit in with the times. Weighing in at 29 oz, Hi-Point’s unique design employs the traditional blowback design and forgoes the more common breech-locking system in order to keep their firearms as simple and affordable as possible. Although Hi-Points may be marketed as budget-guns, you wouldn’t know it by looking at its impressive specs and components. Their .380 pistol is constructed with 100% American parts and includes some pretty sweet features. As a matter of fact, all of these handguns come pre-equipped with a 3-dot, fully adjustable sight system and even includes an extra rear peep sight too. 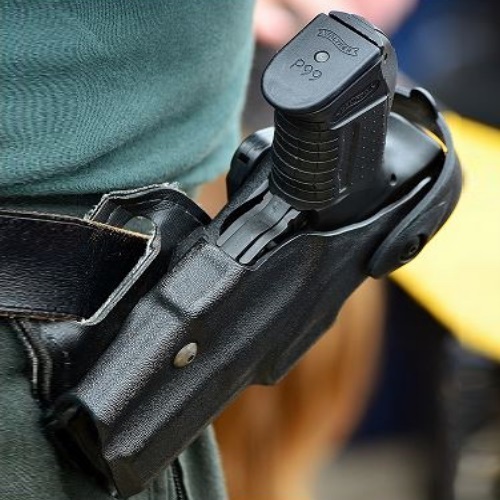 Additionally, since Hi-Point is so dedicated to firearm safety, they’ve included an on/off thumb safety in addition to the magazine disconnect safety and free trigger lock. From its lightweight, high-impact, textured polymer grips to its free lifetime unconditional warranty, the CF-380 was built for longevity. Hi-Points also feature slides cast from a zinc-alloy as opposed to machined-forged steel as another way to boost their durability. 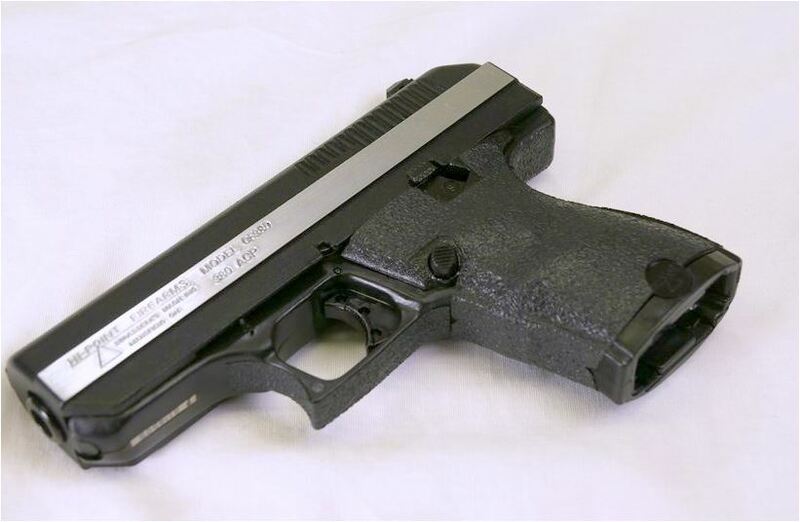 In yet another attempt at increasing their strength, these handguns feature components with integrated steel inserts. 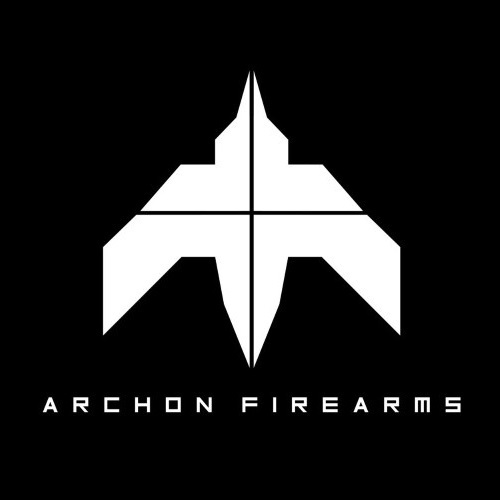 In fact, the folks at DemolitionRanch released a video on Youtube demonstrating exactly how tough Hi-Points really are. This video is the perfect proof that when it comes to durability, not much can compete with a Hi-Point. And although I don’t want to spoil the video, let’s just say the handgun takes about as much abuse as officer Murphy at the beginning of Robocop and still manages to function! At first glance, Hi-Points are cheap guns that are in dire need of a makeover; but once we took a closer look, its components and features told a different story. Now it’s time to examine the CF-380’s performance to see if this Hi-Point is even worth considering. After watching DemolitionRanch’s video, I was already beginning to be convinced that Hi-Points perform way better than their price tag suggests. 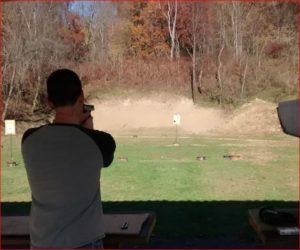 There are a lot of things to consider when buying a budget firearm, and the CF-380 operates well in nearly of these categories. For starters, it may not be the most ergonomic pistol out there, but it still feels decent in your hands. Furthermore, although Hi-Points utilize the outdated DAO blowback system, these handguns are surprisingly easy to control. Additionally, I was very impressed with their minimal recoil, especially considering the heavy punch provided by the .380 cartridges. Next, in terms of their shooting abilities, these .380s are remarkably accurate and versatile. While most budget firearms are picky when it comes to their ammo, these pistols can handle just about any and all factory grade ammo and are even +P rated. Though you can’t compare the CF-380 to greats like the Beretta PX4 Storm, its above average accuracy shooting is something to behold. Part of what makes these guns so trusty in the field is their 3-dot, rear-adjustable sight system which offers quick target acquisition and its decent trigger which allows for reasonably fast shooting. That being said, the first thing after its appearance that I’d change would be the trigger. 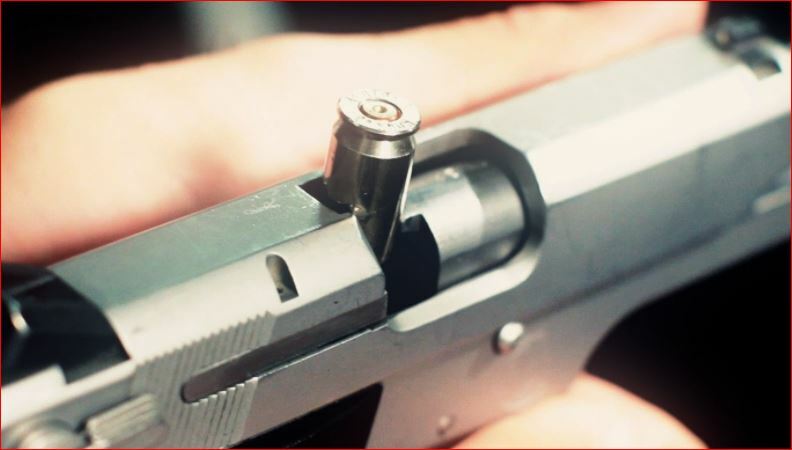 The heavy break of Hi-Point’s trigger can be frustrating after a while. As much as I liked the .380 pistol, Hi-Point’s .380 carbine is something else. Although it’s not the most attractive carbine on the market, the 3895TS is still pretty sweet. Outfitted with an all-weather, black-molded polymer, skeletonized stock, this gun can handle it all. 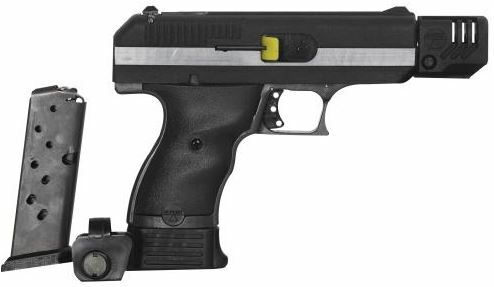 In addition to its great stock, Hi-Point incorporated tons of great features and components into their .380 carbine including an internal recoil buffer, a grip-mounted clip release, and weaver style rails. Plus, for only $30 more, Hi-Point will throw in a forward grip! To make the 3895TS the ultimate carbine, there are a few affordable aftermarket options to consider. First, I recommend getting yourself the Barska laser/flashlight combo. For great short range sights, check out the incredible Sure Shot Reflex Sight and the Bushnell Optics TRS-25 HiRise Red Dot Riflescope with Riser Block (1x25mm). Next, in terms of their shooting abilities, these .380s are remarkably accurate and versatile. While most budget firearms are picky when it comes to their ammo, these pistols can handle just about any and all factory grade ammo and are even +P rated. Though you can’t compare the CF-380 to greats like the Beretta PX4 Storm, its above average accuracy shooting is something to behold. Part of what makes these guns so trusty in the field is their 3-dot, rear-adjustable sight system which offers quick target acquisition and its decent trigger which allows for reasonably fast shooting. That being said, the first thing after its appearance that I’d change would be the trigger. The heavy break of Hi-Point’s trigger can be frustrating after a while. Last but not least is one of my favorite features of Hi-Points: the last-round lock open feature. Now with a gun as cheap as this, you’re bound to meet some occasional malfunctioning, but it’ll be way less than you’re expecting. My brother went through about 500 rounds until he had his first stovepipe which is pretty impressive. Overall, I’d go as far as to say that these guns are highly reliable, even in the toughest conditions. Hi-Point’s American-made single-stack mags for their .380 pistols are nothing special but are still pretty reliable, to say the least. As I said earlier, I’m more impressed by what can go into the mags than by the mags themselves. While these magazines are crafted from all stainless steel and given a smooth finish, I recommend picking up extras just in case. Check out Cabela’s or other websites for deals – they shouldn’t go for more than $20 a piece. At the end of the day, I was surprised by how well Hi-Points perform. For such an affordable firearm, the CF-380 functions just as well as guns twice their price. Although I’d still recommend going for a more established brand, this Hi-Point is a great starter gun or backup gun to keep in the car. Looking for alternatives to the CF-380? 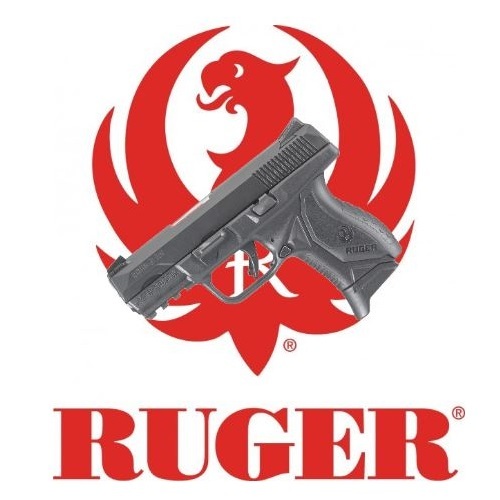 Check out the Kahr CW380 and Sig Sauer P238! A lot of guys talk negative about hi point pistols. But the guns work which should be the only thing that matters. That’s why you see all this stupid stuff online being done to the pistols cause the haters are mad the pistols function fine so they resort to putting them in mud & other stupid stuff they wouldn’t do to another brand. My HP 9 mm eats whatever I put through it and no stovepipes or jams in around 500 rounds. Very accurate and easy to control. Comes back on target quick. Going to get .380 today. The Hi-Point 380 is a tank that is well machined — I carry it in the woods – glove box and house gun beside my recliner. Yes it is heavy but it fits large hands — the price point you won’t find in others is rear adjustable sights and it has a lifetime warranty — I have fired over 500 rounds and found it as accurate as you are and better- the weight gives a nice balance for recoil shot after shot — this is not a mouse gun — I call it my Rat gun — lol — Hope this helps — Happy shooting !! !